I am still in the mood for sunny images as it is another beautiful day here in The Netherlands. Happy (Pentecost) weekend to you all! 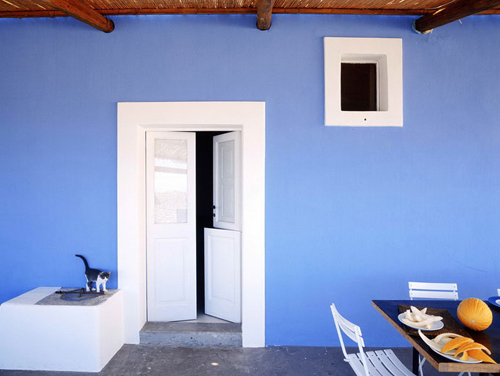 This stunning house is located on Filicudi, one of eight islands that make up the Aeolian archipelago (Italy). 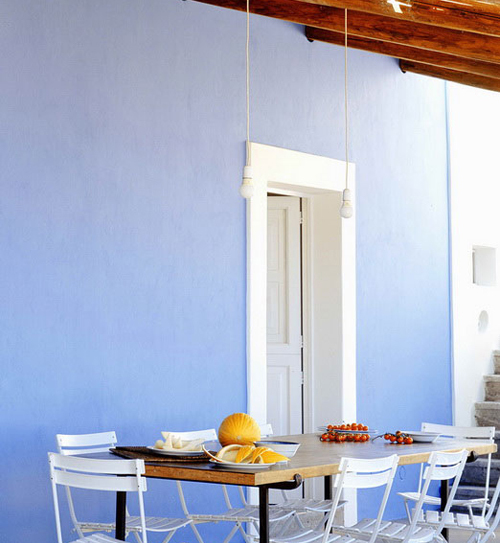 Many of the beautiful summer houses that I showed here on the style files are on this small island. Are all the houses (& views) that gorgeous over there? Time for a trip I guess! Isn’t this the best place to enjoy a cocktail at sunset? What a view! The decoration in the rooms is simple, yet stylish. Loving this shade of blue! And the little cat is gorgeous too..
i love the little accents of yellow! 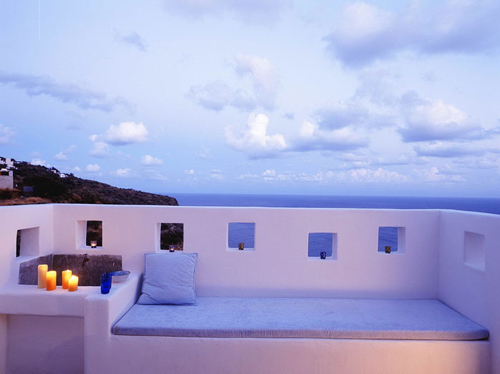 Before I read, I would swear that this house is on one of the islands of the Aegean Sea. Amazing anyway. A very good concept to unwind after work! I will dream about this place tonight! Nice interior design and color combination.